small chip of wood missing by the (stock lid) release button area. of WW1 and has seen service. 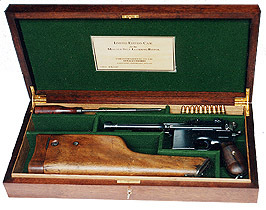 for 50-1000 metre found on early 7.63mm (.30) calibre pistols. Over 65% -+ blue finish with peacock blue remaining 50% to some small parts. 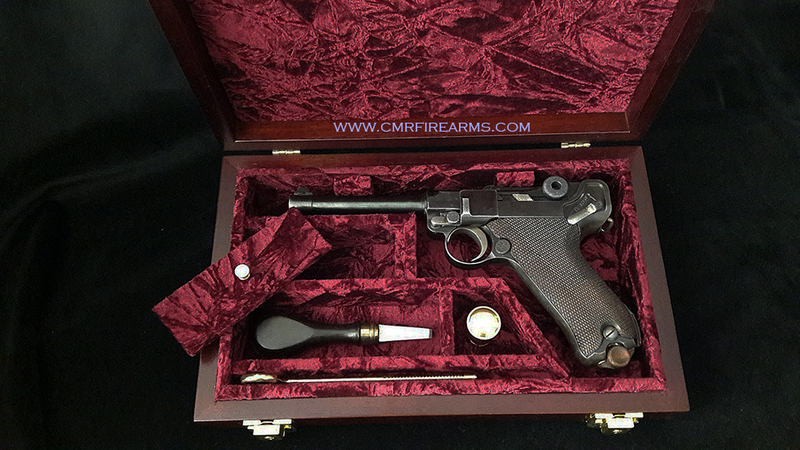 A nice pistol ideal as a collection piece.